We just released Holiday Road: A Christmas Devotional on Amazon Kindle and Barnes and Noble Nook earlier this week. Now, not only can you read it on your Kindle, phone or tablet but, for any of you who are in the same stage of life that I am, you can also adjust the font to create your own large print version! I love this option because it’s a great way for me to pretend like I’m not hitting middle age. Who needs bifocals when you can enlarge your ebook to a 72 point font? Hooray for technology that allows me to live in denial! As a dad, I know that one of the best gifts I can give my kids is to show them how to love others. But that’s not always easy. That’s why I’m sharing a free resource with you today called Jesus Party. 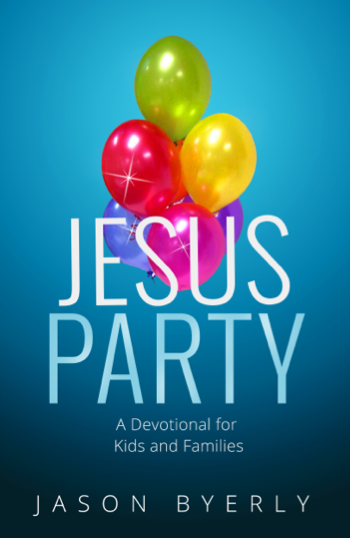 Jesus Party is a devotional for kids and families based on the book Jesus Prom by Jon Weece. In Jesus Prom, Jon writes, “Life gets fun when you love people like God does.” But those of us with kids know that it’s even more fun when we include our whole family. There’s nothing like serving with our kids to remind us of what really matters in life. Not only does it touch our hearts as parents to see our kids loving others, but it sets them up for a life of purpose and joy. That’s why I wrote Jesus Party. Jesus Party takes the ideas of Jesus Prom and explains them in a way that children can understand and put into action. Though Jesus Party works as a stand alone resource, it’s even more powerful when parents are reading Jesus Prom along with it. Jesus Party would make a great family devotional or could be read by older elementary kids all by themselves. Either way you use it, Jesus Party will inspire families to have great conversations about loving God and loving people. So, what are you waiting for? Download a free copy of Jesus Party and let the celebration begin! Looking for Some Fun Stuff About Faith for Your New Kindle, Nook or iPad? If you suspect God may be much funnier and way cooler than anyone gives Him credit, check out The Life Less Traveled and discover a God you’d actually like to hang out with. Holy and awesome? You bet. Boring and lame? Not ever. Ready for a fresh look at faith? Maybe it’s time to leave the beaten path and take a shot at living a life less traveled. 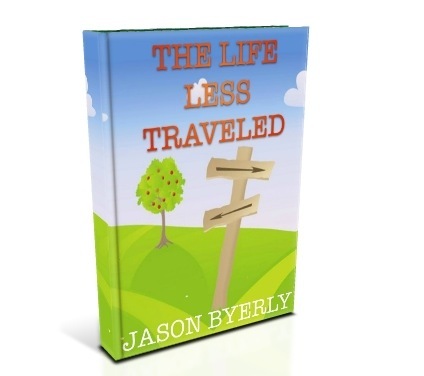 Kindle readers: Check out a sample of The Life Less Traveled on Amazon Kindle by clicking here. Nook readers: Check out a sample of The Life Less Traveled on Barnes and Noble Nook by clicking here. iPhone, iPad or other tablet or smart phone readers: Download the free Kindle or Nook app and buy The Life Less Traveled at either of the above links.